Image: Applications opened for fourth NCSC Cyber Accelerator. Photo: courtesy of National Cyber Security Centre, a part of GCHQ. The National Cyber Security Centre (NCSC) is seeking applications for the fourth Cyber Accelerator from tech entrepreneurs to help create the next wave of cyber security solutions. The Cyber Accelerator is a collaboration between the UK Government Department for Digital, Culture, Media and Sport (DCMS), the NCSC, and Wayra UK. NCSC has given a deadline of 28 April 2019 for submitting applications for the fourth cohort of the programme. Launched in 2017, the Cyber Accelerator programme, which is funded by the DCMS, has provided active mentoring and support to selected technology start-ups. Previous participants in the programme have received more than £20m in funding. Under the programme, NCSC selects start-ups involved in the development of next-generation cyber security solutions that are better and cheaper than currently available products. Tech start-ups that are deploying innovative techniques to solve a known problem and those which can make a difference are considered for the programme. Research proposals are not entertained by the Cyber Accelerator programme, which is aimed at promoting companies that have an active presence in the UK and have their business registered in the country. The NCSC is calling for start-ups that are focused on improving security, techniques for expecting the early stages of a cyber-attack, enabling action for countering real-time threats, vulnerability information and others. NCSC skills and growth deputy director Chris Ensor said: “This call will allow us to cast the widest net possible for attracting start-ups developing technologies that will better protect us now and in the future. So far, 16 start-ups have graduated from the Cyber Accelerator programme. The duration of the programme is nine months with the participants given a package comprised of a £25,000 grant, exclusive access to experts from the Government Communications Headquarters (GCHQ) and NCSC, access to Wayra’s investor network and potential pathway to security experts from Telefónica brands such as O2. 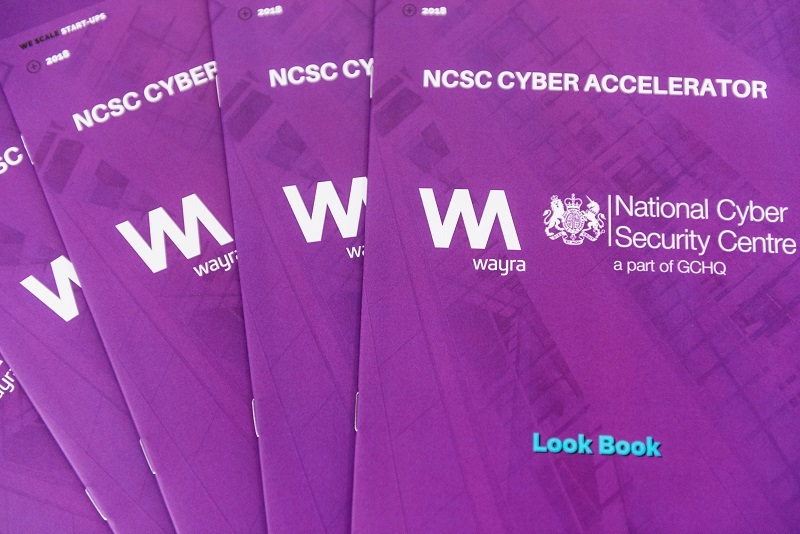 Wayra UK director Gary Stewart said: “The NCSC Cyber Accelerator, powered by Wayra UK, is representative of how Britain’s intelligence, cyber and security services, have evolved to counter emerging threats by supporting businesses on the frontiers of new tech innovation.